Even though Oh! Great is one of my most favorite manga artist, I have to admit that his stories are usually quite out of whack. That is no exception for his Air Gear series. The original TV series aired quite a while back (like 2006 or so), so I don't remember much details about the story. But I do remember it was filled with some pretty far-fetched gibberish. And 4 years later, when they decided to make this OVA, I can tell that they went full out on their nonsense making and made it filled with some most ridiculous stuff you could see, along with some symbolism that didn't quite make sense and a semi-straight face while trying to convince you they're being serious about the story they were telling. Did they honestly think anybody actually going to buy in this load of BS?! *Sigh*, Oh! Great, your art is still amazing as ever, but would you once a while write some stories that actually make sense? 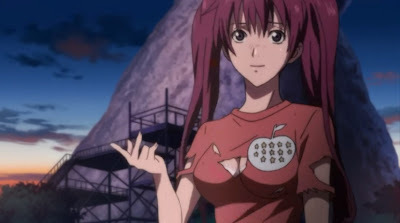 The bottom line is, if you were actually a fan of Air Gear, go ahead proceed with this OVA (you do need prior knowledge from the TV series to understand this though). But if you've never heard about Air Gear or Oh! Great before, don't bother with this OVA. Your time is better spent elsewhere, because honestly, this OVA holds no value I can see what so ever. Actually, Air Gear is my favourite Manga :P Even though i've just read to the 18th book. I tried watching the show, but imo the manga is way better.